Singing Telegram Maryland | Have a Choir Send a Message! There's nothing funnier than having Elvis show up at your friend's office, or a giant gorilla singing happy birthday to your signifcant other. We have created a list of the best singing telegrams in Maryland- all you have to do is enjoy the performance! Bubbles Productions is the name of a child event management company that has been in the business since 2010 for making a party fun and enjoyable for kids. They offer lots of enjoyable elements for kids that can make them excited during the time of their party. Different types of items like balloons, costume characters such as Superman, Spiderman, Dora, etc are available along with singing telegrams that can surprise any kid. So people should take the service from Bubbles Productions to arrange any kids' party. Metro Mascot is a popular name in MD for singing telegrams for kids' parties. 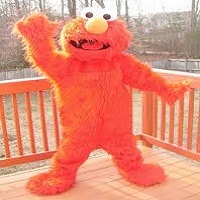 They offer the best character appearances at a reasonable price with interactive event/party character appearances which include character introductions to themed music, interactive dancing to children's songs, game songs with prizes, birthday singing, and photo posing that easily can make a party enjoyable and charming for the kids. The selection of Metro Mascot will be great for kids' party programs and can make any party more enjoyable and exciting to celebrate. Kiddie Party People is a party management company that deals with the people to make a party more glorious and amazing. The services of this organization have been open for 24 hours since 2009. 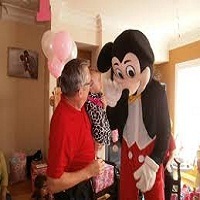 They offer mainly clowns, magicians, children's party planning and other entertainment provided by different costume characters like Superman, Batman, Dora etc along with singing telegrams that can make anyone surprised. So the Kiddie Party People can be an amazing option for any kids' party. Backyard Amusements LLC is a well-known company for kids' party arranging in MD with singing telegrams. The service of this company is open 7 days a week. They provide fun for birthday parties, barbeques, school events, churches, corporate functions, day cares, family reunions, baby showers and much more with singing telegrams for extra fun for the party. 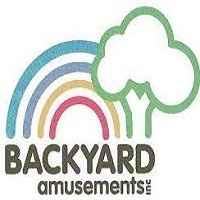 Backyard Amusements LLC is a successful name for arranging any type of party which is why people should try their service to arrange a successful party. 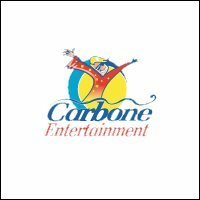 Carbone Entertainment is the reputed company in MD for party entertainment. The service is open 7 days a week from 10 am to 6 pm. They offer lots of services with different packages to make a party exciting and charming for the kids. They serve different types of toys, balloons, costumed characters with singing telegrams, which is the exclusive part of this company. So people should try to arrange their party by taking the service from Carbone Entertainment. To know more you can visit their website. Ballroom Balloons Company is a company for arranging any party where balloons are mostly used for decorations and are the main attraction for a party. Singing telegrams with awesome balloon decorations can makes a party enjoyable and exciting for the kids and is another attraction for arranging a party by Ballroom Balloons with reasonable prices. So the choice of Ballroom Balloons Company could be great to organize a kids' birthday party with lots of balloon decorations and singing telegrams. You can know more about this company by visiting their website. Comedian Man is a well-known company for entertaining any kid's party. 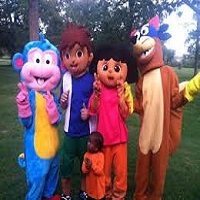 They offer a reasonable price with interactive event/party character appearances which include character introduction to theme music, interactive dancing to children's songs, game songs with prizes, birthday singing, and costumed characters within singing diagrams that easily can make a party enjoyable and charming for the kids. People should try to take the service from Bounce Party n Play to arrange their party successfully and make their children happy and excited to celebrate their party. 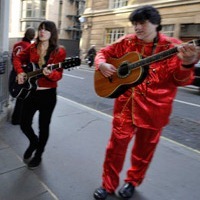 Tinos Tunes Singing Telegrams is now the company of rising for entertaining any party. Singing telegrams with awesome balloon decorations and other criteria of their services can make a party enjoyable and exciting to the kids which is another attraction for getting party entertainment by Tinos Tunes Singing Telegrams with reasonable prices. The offer of this company is definitely exclusive for people. Everyone should try them to entertain their kid's birthday and take the service of Tinos Tunes Singing Telegrams. To know more details you can visit their website. Party Central is a nation-wide company that provides the best party entertainment across the country. They offer everything your party needs. They have mimes, jugglers, clowns, dancers, magicians, petting zoos, DJs, videographers and more. Party Central has a wide selection of signing telegrams and celebrity impersonators. They can provide the likenesses of Shakira, Marilyn Monroe, Madonna, Elton John, Elvis and many more. Feel free to email your request. They also have singing telegram characters that are perfect for children's parties. Visit their website for a complete list of singing telegrams and party fun! Looking for a way to spruce up your party and make it less boring? A singing telegram would definitely be a great addition to your party. Whether you want a costumed singing telegram or any other preference, Ba Ba Balloons has everything on the menu. 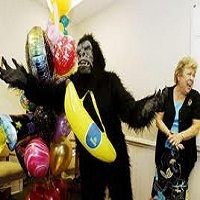 Hire the best Maryland singing telegrams from Ba Ba Balloons and let your guests enjoy the party and live to talk about it. With a singing telegram at your party, nothing would ever go wrong. Well, in the Maryland party scene, Elvis is certainly not dead with different Elvis impersonators performing as singing telegrams. Meet Elvis E who doubles as other musicians such as Neil Diamond and many more. 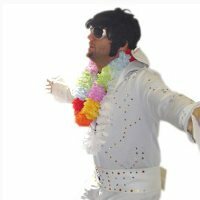 Well, for your upcoming party, you can invite Elvis E as a singing telegram and all the Elvis fans at your party will certainly have an amazing time. Whatever character you prefer for your singing telegram, Elvis E is ready to assume that role. Would you love to be serenaded by Frank Sinatra? How about a call from Lady Gaga on your birthday? American Signing Telegrams is a national company that delivers the best musical messages to anywhere in the USA. 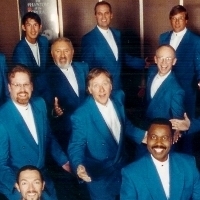 Based out of New York City, American Singing Telegrams has been delighting customers since 1979. They have been featured on NBC, FOX, CNN and A&E. American Singing Telegrams has the best costumes for in-person telegrams. Have Elvis show up at your best friend's door, or treat your husband to a visit from Marilyn Monroe. They also can perform celebrity impersonations over the phone. Their singing phone-grams are guaranteed laughs and are available at flexible times. 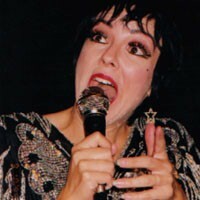 Visit the website for a complete list of singing birthday fun! Best singing telegrams in Maryland! 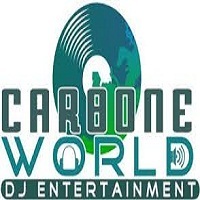 Carbone Entertainment is Maryland's premier party entertainment company. One of their most popular offerings is their singing telegrams. Singing Telegrams have been the gold standard when it comes to saying hello from far away. They are a great way to send love, greetings, well wishes or pure embarrassment to friends and family. 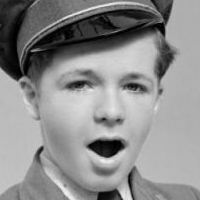 Let them know about the recipient, and they will customize the perfect singing telegram! Pick the costume and choose the song. Carbone Entertainment has a ton of hilarious costumes, including Elvis, Cupid, the Grim Reaper and many more. You can send a gift with your singing telegram, such as balloons, flowers or something else! Best of all, telegram singers can wear a GoPro to record the entire delivery so that you can see their reaction first-hand! Visit their website for more information. 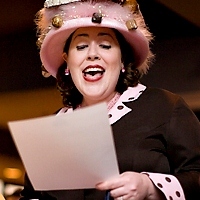 For most entertainers and performers in Maryland, singing telegram is a very serious business which must be done with a lot of perfection. On that note, meet Saskia, who is at the heart of Unique Memories Unlimited. Over the years, she has worked with several parties in Maryland to come up with eventful parties. With different customized characters for each party, Saskia is definitely the singing telegram you should contact. Hosting a party this coming weekend? Looking for unique yet peculiar entertainment to keep the guests lively at your event? Well, you have certainly come to the right place. Welcome to Donato Soranno where the most magnificent singing telegrams in Maryland reside. Hire them for your party and enjoy an outstanding, magnificent and memorable day with all your guests, friends and relatives. Hear Bee Bee Clown sing! Bee Bee Clown does it all. Not only does she offer balloon twisting, face painting and character creations, she also does singing telegrams! 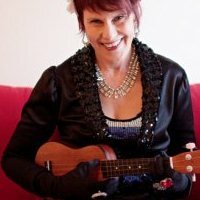 Invite her to your next birthday party or event for magical music. Bee Bee can also travel throughout Maryland to deliver a musical birthday message. Bee Bee Clown is the premier entertainer in Maryland. She is an award-winning performer who has been on stages and screens across the world. Bee Bee is a native English speaker, is fluent in Spanish and can entertain in French. She loves collecting words and phrases in various languages just for fun. For the best singing telegrams, call Bee Bee Clown! If you have been wooed with the choice of adding singing telegrams to your party, then you should definitely choose the most outstanding company to do the work. And that's the American Balloon Company. By being in the party entertainment business for a long time the American Balloon Company has worked effortlessly to make sure that all parties in the Maryland locality are worth remembering for a long time to come. Bubbles Productions has been making parties fun since 2010! They bring the entertainment to your home or event. Bubbles Productions is happy to perform at all types of events, from large corporate parties to smaller telegrams. Choose from their great selection of mascots and characters to deliver a silly surprise telegram to your home, school or office. Each performance lasts about 15 minutes. Most telegrams are delivered on weekdays, but some weekend booking may be available. This is also a great time to deliver a special message and take pictures. 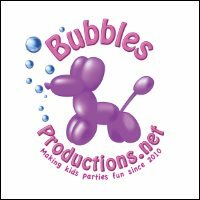 Visit their website to see what other fun party services Bubbles Productions offers. Deliver a special singing telegram! 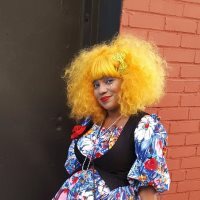 Inga the Clown of Say It With A Clown is one of Baltimore's most-requested entertainers. In addition to balloon twisting and face painting, she also welcomes singing telegram requests! Inga can tailor a package just for you! Singing telegrams are the best way to get a message across. Choose from the best characters: Clown, Pink Gorilla, Zombie, Female Boxer, Vintage Waitress, Princess, Little Red Riding Hood, Nun, Nurse, Police Officer, Cinderella, Elsa, Cupid, Betty Boop, Lucy and Flight Attendant. Special requests are welcomed. Inga the Clown also has a special Marilyn Monroe singing telegram just for special occasions. Marilyn Monroe can come in a variety of outfits and song choices. All singing telegrams include balloons. All costumes are pressed, clean and professional-looking. The makeup used is always attractive and kid friendly. 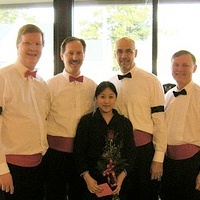 Order a singing telegram for your next special occasion in Baltimore, MD.